Dog barking can be a problem, perhaps more so for people living in apartment or other types of closely knit communities. It generally occurs when the dog is left home alone. To stop dog barking that is triggered by separation anxiety, let’s first look at the condition. There are several reasons why dogs can develop separation anxiety, some of which you probably did not cause. 1. Puppies that are taken from the litter too early can develop separation anxiety. At this early age, puppies usually enjoy the comfort of knowing there is food and companionship readily available. Weaning the puppies away from the pack needs to be done a little at a time and certainly not before the puppies are at least six weeks old. Suddenly depriving the puppy of the things these comforts and reassurances represent can be painful if not done correctly. 2. Dogs that experienced a fearful event while separated from the pack will become anxious when left alone. This event might be a thunderstorm, fireworks or other loud and shocking noises. Since dogs have such sensitive hearing, these overwhelming sounds can trigger fear. While in a pack, dogs feel safer (safety in numbers) and will receive the message from other pack members whether to run, hide or fight. Having to make that determination alone can lead to anxiety. 3. Dogs that have become closely attached to you and spend a lot of time with you can become anxious when you are apart. Dependent dogs are more likely to show separation anxiety when their owners are away. They feel they have been abandoned. They have not been prepared for those times when they will have to be alone. Independent dogs, on the other hand, are less concerned with having you around and will not bark in your absence, except perhaps to defend his or her territory. Knowing why your dog has separation anxiety will help determine the best way to stop dog barking behavior. Build your dog’s confidence. Many anxious dogs lack confidence and will be more fearful than other dogs. Work with your dog through exercises. The best exercises are those that 1) work off the dog’s excess energy and 2) exercise his mind. Physical exercise is important to any dog. It keeps them healthy and fit, alert and attentive. Make sure your dog gets at least 20-30 minutes of exercise each day. Of course, the more the better, so if you can fit three of these into each day, your dog will benefit more. 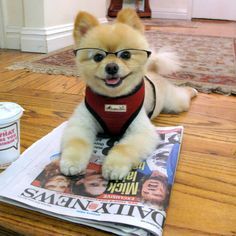 Mind exercise will help to build your dog’s confidence. These exercises work with your breed’s strengths. If your dog breed is good at hunting (Jack Russell Terriers are a good example), then develop some fun games that get him using those talents. Hide things around your garden and have him find them. When he brings them back, praise him. Be creative. Over time, he will become more confident. One final tip about how to stop your dog barking from separation anxiety. Practice coming and going. Step outside the door, walk a few paces away and wait. When your dog barks, go back, open the door and scold him. Tell him, ‘No!’. Order him to ‘lay down’ and ‘quiet’. Repeat this exercise several times in succession. This will do a few things. It will make him realize that barking does not bring anything pleasant. He barks for attention, not to be scolded. It also helps him to realize that although he can’t see you, that you are there. He will know that because as soon as he barks, you come right back in. You might want to try this 3-4 times before you leave the house for a longer period. Repeat the exercise every time you leave. It will take a few weeks, but be persistent and you will see results, especially if you work on the other exercises. 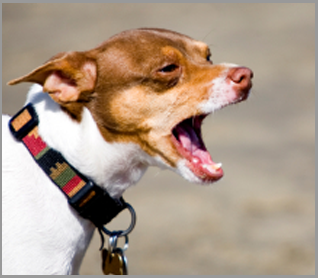 The good thing is that by following these basic steps, you can stop dog barking behavior. Sylvia has written a book on dog health care and dog nutrition.